SFeathers are really trendy right now. 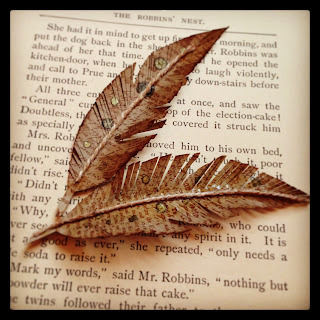 I'd like to share the paper feathers that I made with the 18th century Proclamation stamp from The Rubber Cafe. The feathers were really easy to create. Draw or trace a rough outline of a feather. Stamp the 18th Century Proclamation with Distress inks of your choice. Add a few ink spots for a fun color variation. Attach a piece of twine down the base to create a spine with your Scrap Happy Glue and make cuts with your scissors to add realism. 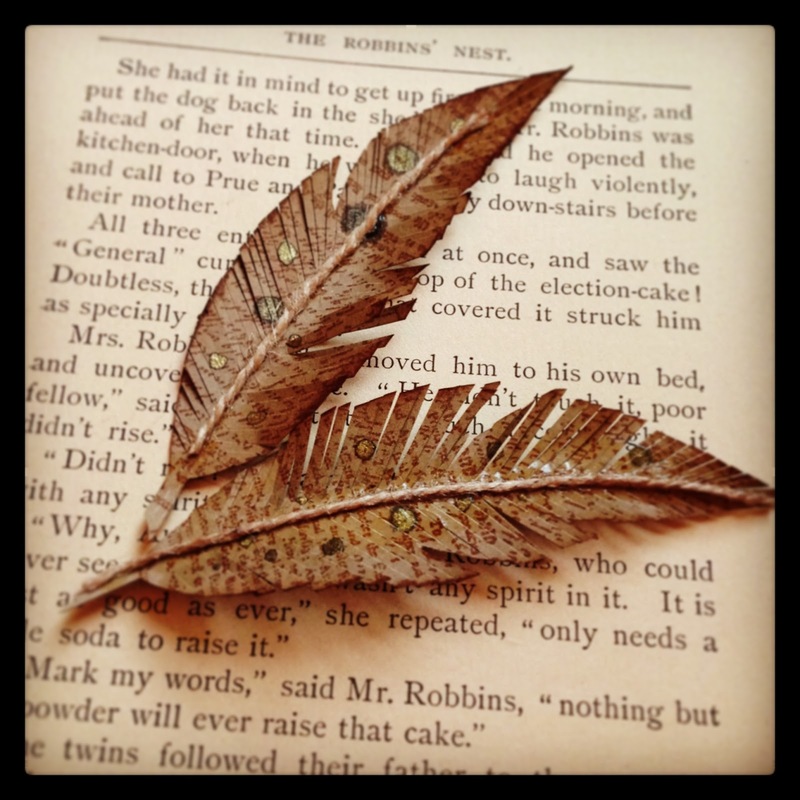 You can add your feathers to any project. Here I added one to an authentic vintage postcard to create a unique greeting card. Notice the beautiful faux-wood background. I created that with the Wood Grain stamp. I love that it can stamped in any color to coordinate with any project! 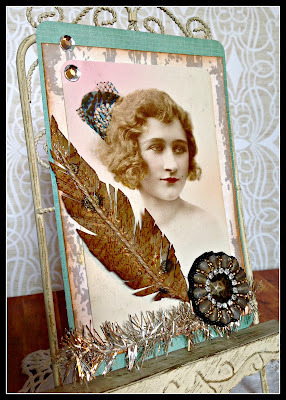 gorgeous...love that feather with the twine...such a pretty project! 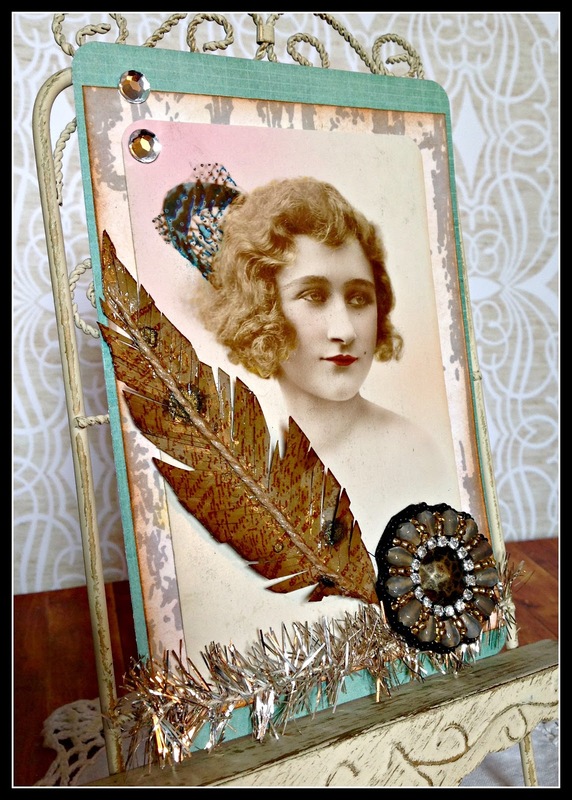 Love this....the twine for the feather spine is perfect!